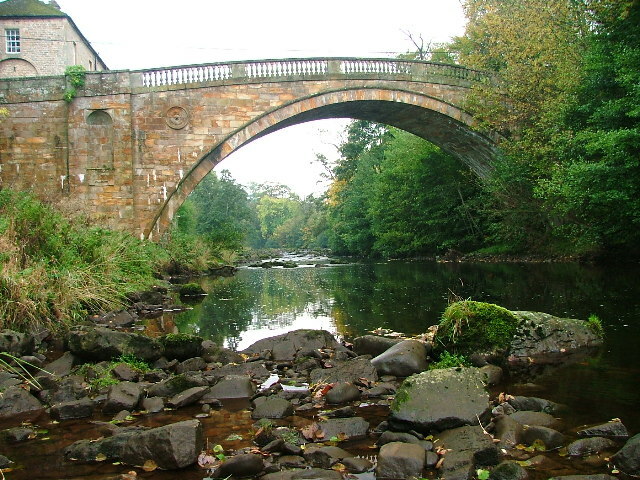 The stone bridge over the River Greta at Great Bridge village in County Durham, was built in 1773 by John Carr for John Sawry Morritt. It replaced an earlier bridge, reputed to be of Roman origin, which was destroyed by the great floods of 1771. Greta Bridge has been the subject of paintings by Cotman, Girtin, and other artists. The bridge is Grade II* Listed.